If you insure 2 or more vehicles then you could take advantage of our Fleet Promise, one simple insurance solution for fleet and mini fleet requirements. If it's one policy, one renewal date, one insurer, one payment, one account handler, then Trust is the one stop insurance broker for your vehicle policies this year. Whether its business cars, vans, tippers or lorries, we can provide you with suitable insurance cover that can also extend to include specialist vehicles for arborists, tree surgeons, forestry contractors and landscapers. 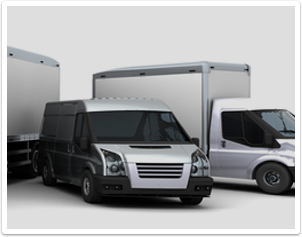 We can also extend our cover for haulage contractors and private hire operators to include operators liability cover. Call to discuss your requirements or continue online with our online fleet quotation form.